HOW TO CHOOSE TIRES - Qingdao Keter Tyre Co., Ltd.
A car is composed of a variety of parts, to run the car fast, running stable, the tire is essential and is also very important, a car also need to choose the right tires, not the more expensive tires Well, not to say what car can use the same tires. Today teaches you how to choose the right tires. Select the tires, try to choose the original car on the tires above the specifications models and patterns, if you can not find the original car tires must find the same size. If you need to change the tire specifications, you must go to a professional modified shop for tire upgrades, not private. There are often tires on the sidewall that are suitable for season markers such as WINTER, M + S or AQUATIC, ALL SEASON or ALL WEATHER. These words indicate winter tires, rain tires and seasons tires, and users in different regions can The weather conditions are suitable for their own tires. On the tire side of the tire there are tire specifications, pattern factory time and so on. If your car is a sports car or often on the highway, high-performance tires are your nice choice yo, when you are driving on high speed, fast turn, high-performance tires use soft rubber compounds, increase traction, You are in a safe and steady way. However, the soft rubber will make the tread life shorter, and other types of tires under the comparison, high-performance tires more suitable for you, experts suggest that the bad weather does not use high-performance tires. The mud tires are designed to cut into a muddy surface, with a large, different-shaped thread pattern. Due to the large, open design, the mud passed away very quickly. Mud tires tend to be wider than other properties of the tire tread, reducing the possibility of trapping in the mud. The angle and mode of plow tread embedding in the vehicle rotation, the use of centrifugal urging other substances away from the tire surface, to prevent the block tires. The snow tires have a soft rubber grip combined with additional Snape's thread, which adds grip to the snow's control. Often, you can identify snow tires by wrapping the hieroglyphs and snowflakes. This indicates that the tire has been approved by ASTM (formerly American Society for Testing and Materials). Lighter vehicles, inlaid snow tires can increase the friction, is conducive to prevent the vehicle in the harsh conditions of winter sliding. A compact spare tire is not suitable for long term use. Experts say spare tires are used urgently, spare tires are cheaper than ordinary tires and are part of roadside safety kits. 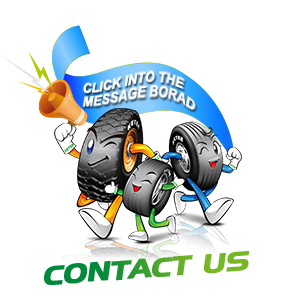 However, the use of a spare tire for a long time will increase the pressure of other tires, resulting in abnormal wear and tear. The use of spare tires, not suitable for driving on the highway, you can use the spare tire will drive to the nearby repair shop as soon as possible to change the new tires.